Made by hand at the renowned Tabacalera de Garcia factory in the Dominican Republic, VegaFina cigars feature a silken Ecuadorian Connecticut Shade wrapper covering a flavorful combination of Dominican, Colombian, and Honduran long filler tobaccos bound in Indonesian leaf. 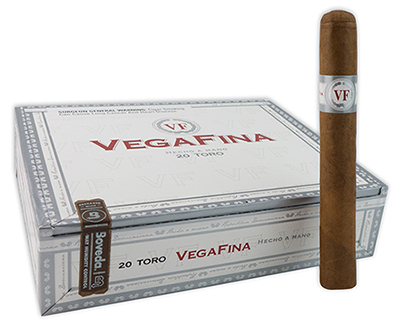 The mild and creamy VegaFina is a well-constructed, great tasting cigar with nuttiness, subtle spice, and a pleasant aroma. Blended to be enjoyed any time of the day, the VegaFina is also easy on your wallet.